Solar City® is an Australian registered tradesmark and business name epolis pty ltd has traded under since 1999 for a range of solar and other renewable energy related research and advisory services. Clients served by Solar City® include the International Energy Agency; the Canberra Investment Corporation/ Manidis Roberts Pty Ltd; Knox City; Baptist Community Services/ Peter McFadyen Pty Ltd; the Commonwealth Science, Industry and Research Organisation; the Satterley Property Group; GroupGSA among others. The Solar City® trademark is used under licence from the Australian Government. Epolis is not engaged in activities under the Australian Government's Solar Cities program. Examples of 100% renewable energy integration around the world. Climate for Peace is a global call for the cessation of armed conflict and hostilities, in order to mobilize all available resources in the overriding challenge of averting climate catastrophe and fossil fuel supply cataclysms. For the latest in renewable energy scenarios. STAR stands for Space, Time and Renewables. The STAR Energy Model is an affordable and reliable system to determine a community, city or region’s capacity for energy independence based on local renewable resources. Communities benefit from the information generated by the STAR Energy Model by easily building scientifically quantified scenarios for a secure, sustainable and prosperous future. Climate change and dwindling global resources are challenging the professional practice, demanding new design and planning approaches that achieve more with less. 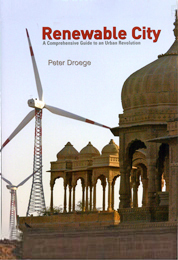 This rich volume for designers, architects, planners, policy makers and academics alike explores the current paradigm shift and illustrates how new thinking can convert investments in urban infrastructure, land use and development into resilient and enduring support systems for human and environmental prosperity. Current practice, projects and plans for companies, individuals, communities, cities and countries determined to be entirely independent from fossil fuel and nuclear power. For more information and to order click here. This compendium of 28 chapters presents perspectives that are both local and international in scope and relevance: perspectives from 18 countries in both the developed and developing world. For more information and to order click here. 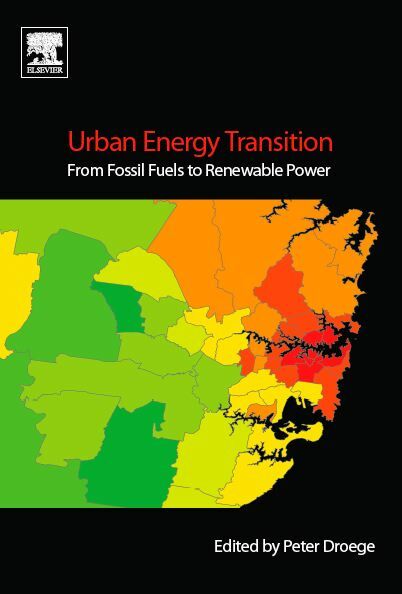 This is a guide to an unprecedented urban transformation, squarely focused on action. It is built on successful urban sustainability trends, emerging infrastructure directions, renewable energy applications and related new approaches to urban planning and the design of cities. For more information and to order click here.